Thanks to a market survey conducted in partnership with Dev Pro Journal, we’ve been able to gather data around ISV marketing trends and demographics. 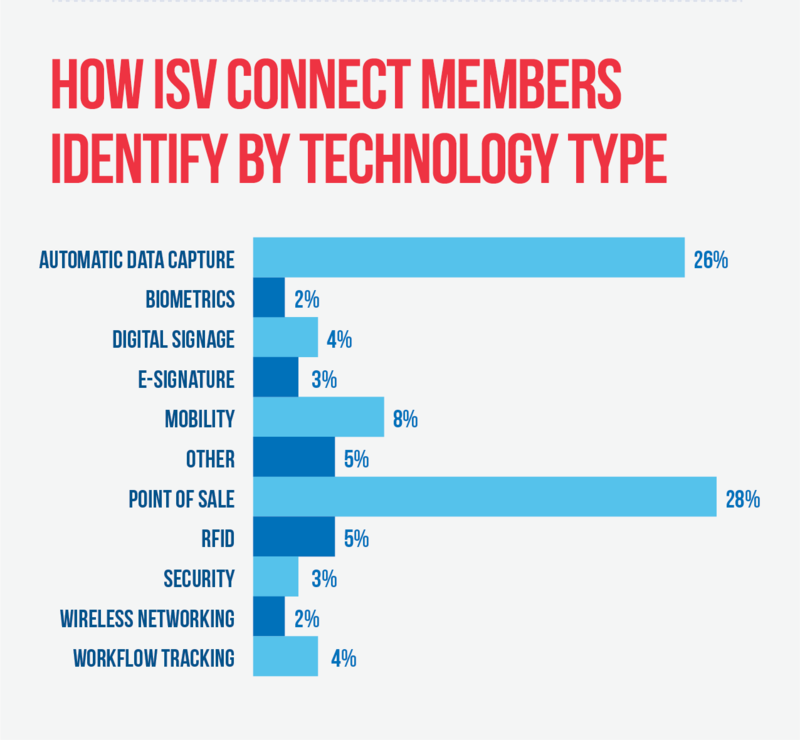 Specifically, we polled BlueStar’s ISV Connect community to get a picture of how software companies who operate in and around the channel approach marketing. ISV Connect is a community created and nurtured by BlueStar, a global distributor of class-leading technology hardware, software, and value-add services. Why marketing? Because marketing is a topic that consistently comes up in the channel as a beast that baffles everyone from vendors to ISVs and VARs. That said, effective marketing and branding is an important element to acquiring new customers and thus, is worth exploring in detail. Marketing changes rapidly, and as technology continues to change, the ways we reach people and attract attention must also shift. So, we decided to reach out to the ISV community to gauge how they’re marketing and where they feel they’re succeeding as well as where they’re struggling. According to the Wall Street Journal, marketing budgets typically represent about 11 percent of a company’s annual budget, with the average allocation of annual revenue being 7.5 percent. However, by their calculations, tech companies are the biggest spenders, allocating about 13.8 percent of their annual revenue. Our poll allowed ISVs to input the percentage of their annual revenue allocated towards marketing, to see how the channel stacks up against the averages. The median amount entered was 5 percent, which is quite a bit lower than WSJ’s average number for non-tech companies. After removing some outlier data, we found the average collected from our software vendors came in around 7.67 percent, which is right on par with the non-tech average, but still coming short of the average technology company by a significant amount. Our poll data tells us that software vendors that are part of the ISV Connect community, on average, aren’t spending as large a percentage of their annual revenue on marketing as the larger tech market. In a competitive channel, where the need to differentiate and stand out from the crowd is crucial to business success, successful marketing campaigns and trustworthy marketing partners can make all the difference for a companys’ growth. 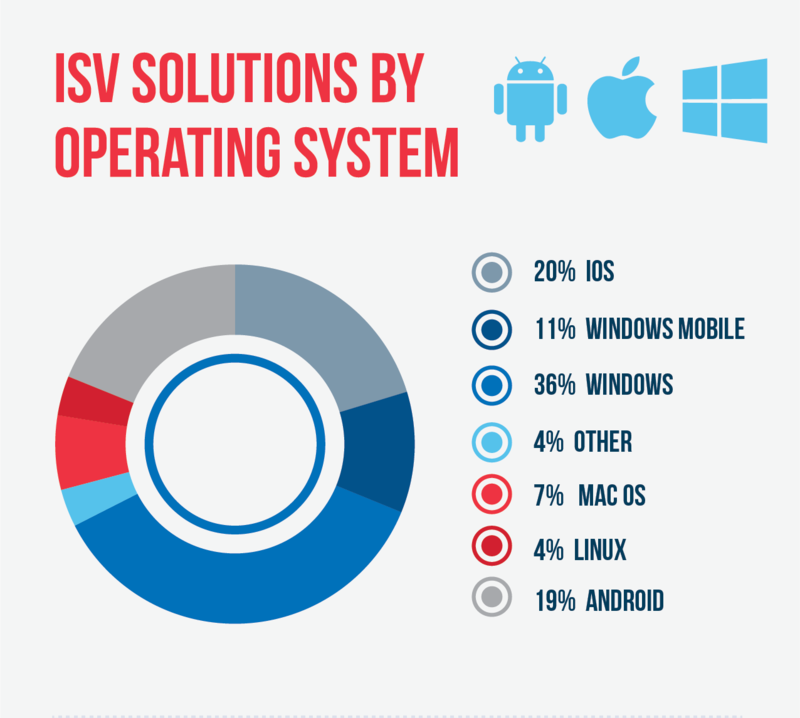 How are ISVs Marketing and What Is/Isn’t Working? It appears that ISVs are bought in to the idea of creating content, as evidenced by a large percentage of respondents saying they’ve experimented with YouTube, blogging, and case studies. However, the responses for surveyed partners who used social media posts to promote content were below 25 percent, with the exception of LinkedIn, which ranked in at a whopping 42 percent by comparison. ISVs should put a greater focus on developing their social distribution channels to maximize potential reach for their content. 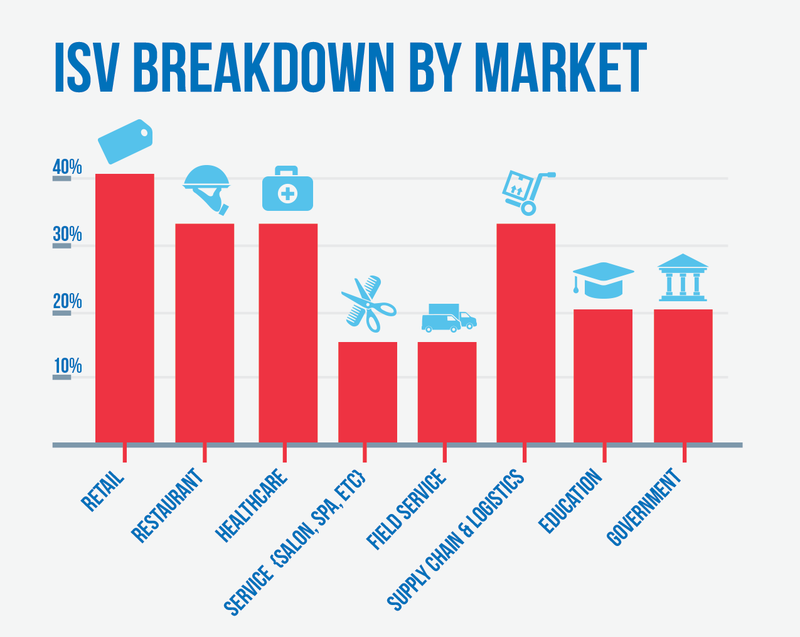 So, interestingly enough, this data shows a trend in ISV marketing preferences. According to the information gathered, most ISVs prefer trade shows, and feel that overall social media and tools like direct mail, lead generation services, and magazine ads are failing them. Marketing can feel like a gamble for smaller companies with limited marketing budgets, and allocating money towards programs with negative returns can negatively affect your desire to continue experimenting. However, the issue is often not that the campaign failed, but why. Perhaps the most telling information gathered from this survey comes from the reasons ISVs feel their campaigns have failed them – which, in turn, can help explain why they don’t allocate more funding annually to marketing. 14 percent said they believe their marketing efforts failed because they didn’t fully commit. 20 percent said they failed because they didn’t know how to measure ROI. 31 percent said they failed because the method they chose doesn’t work for this industry. The data seems to indicate that ISVs aren’t confident in their marketing toolsets, abilities, or measurement methodologies, and as a result they don’t fully commit to campaigns. This isn’t shocking as the majority of respondents are smaller companies whose core competency is development, not marketing and branding. Now, can you truly say a marketing campaign has failed, or that a specific method doesn’t work for an industry, if you’re not fully committing or able to accurately calculate ROI? Marketing, similar to business in general, is about taking calculated risks, learning, and adjusting. In order to judge whether a particular tactic works for your product, it’s important to put the proper amount of effort into the ad creative or content, and as well, to isolate and test variables such as messaging, target audience, and timing in order to gauge effectiveness. Many ISVs aren’t seeing value in emerging digital marketing techniques such as paid social advertising, YouTube, and email marketing, but it’s probable this is a result of lack of resources, funding, and competency versus these channels being irrelevant to their industry. It’s safe to say many software companies don’t have the luxury of employing an advertising agency. 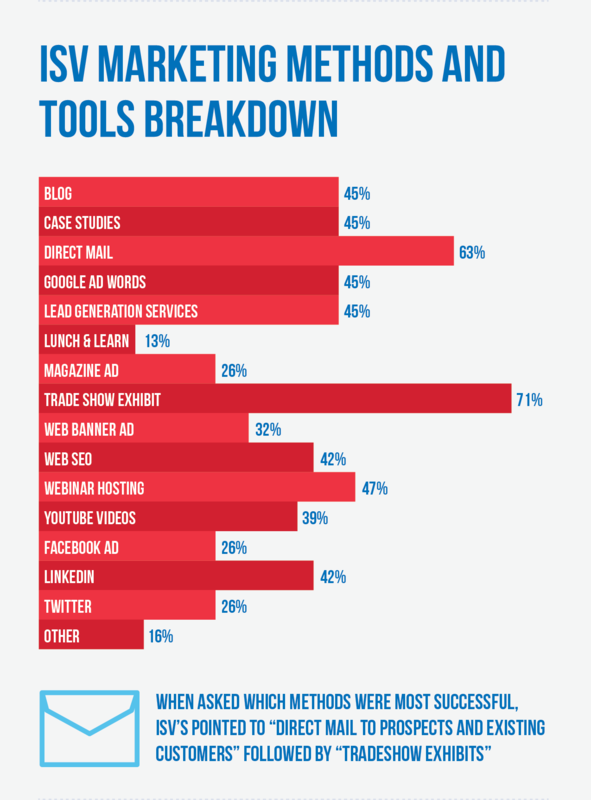 As well, many don’t have the personnel or tools in-house to take on the full gamut of marketing themselves. ISVs should consider utilizing toolsets and potential funding made available through channel partnerships. 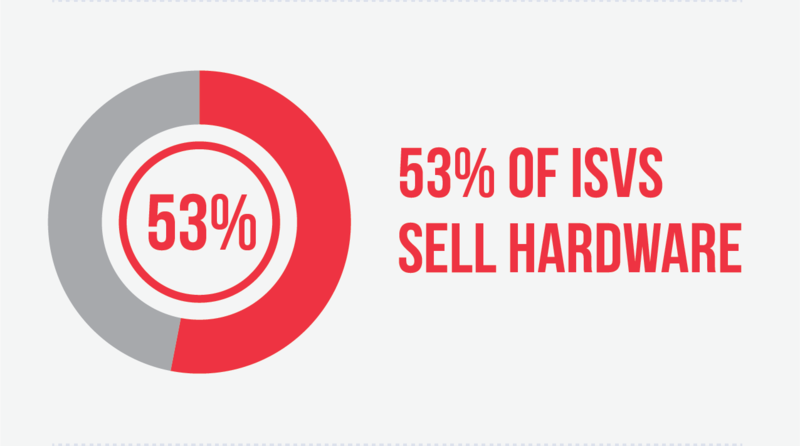 Many ISV programs created by hardware vendors can provide ISVs with market development funding and hands-on assistance on their marketing activities. It’s worth noting that hardware companies are more inclined to work with software companies who directly sell or indirectly influence the sale of their hardware devices. This tells us that ISVs aren’t working closely with hardware manufacturers or working to secure MDF funds for their projects. Additionally, more than 30 percent of respondents say they do have access to MDF funding, but they aren’t using any of it. This means they’re turning their backs on free funding sources that could be allocated towards creating more robust and effective marketing strategies. 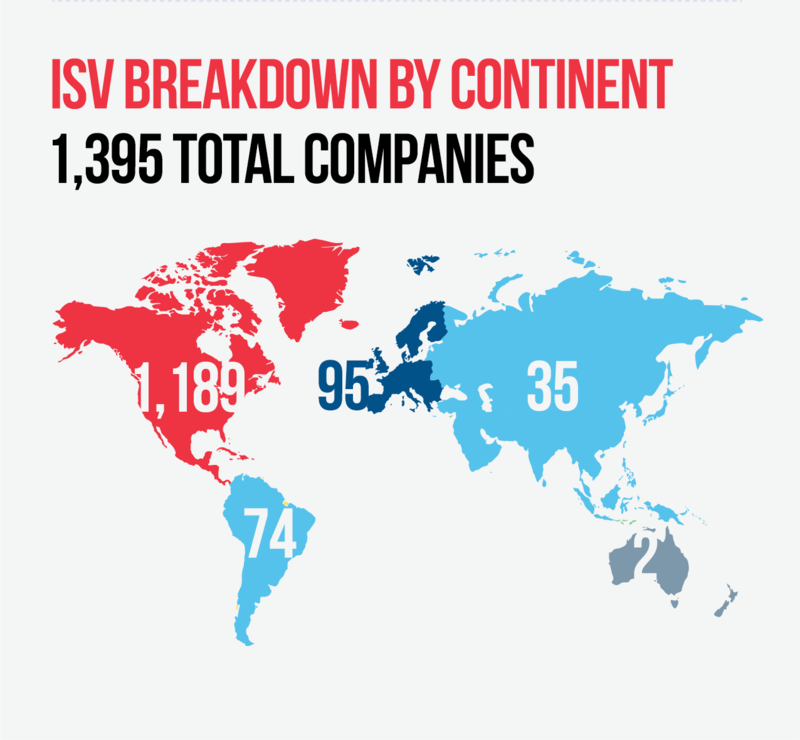 ISV Connect is a varied community demographically, vertically, and in the way it approaches marketing. 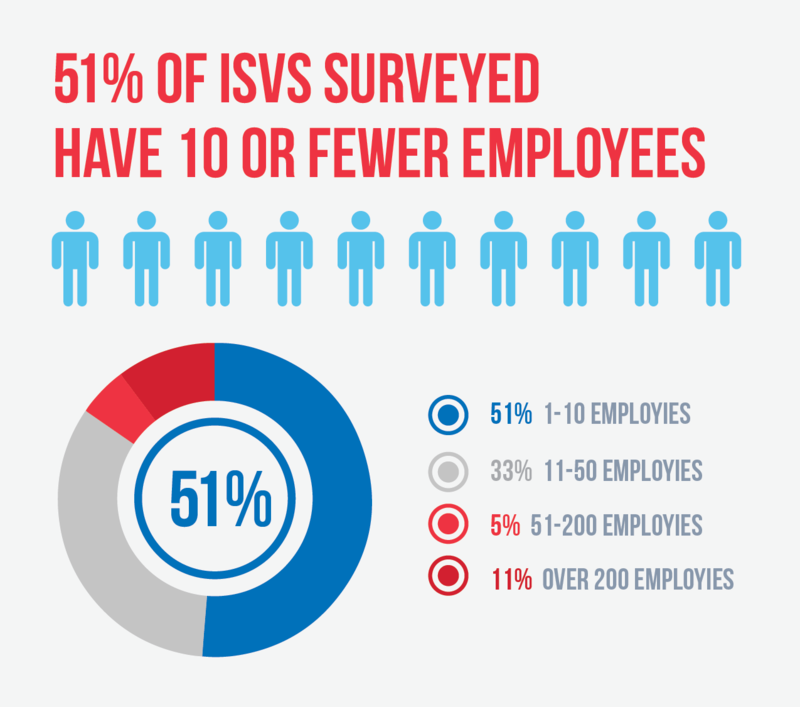 84% of the ISV Connect community has 50 or fewer employees. ISVs struggle with marketing, both from an execution and a measurement standpoint. 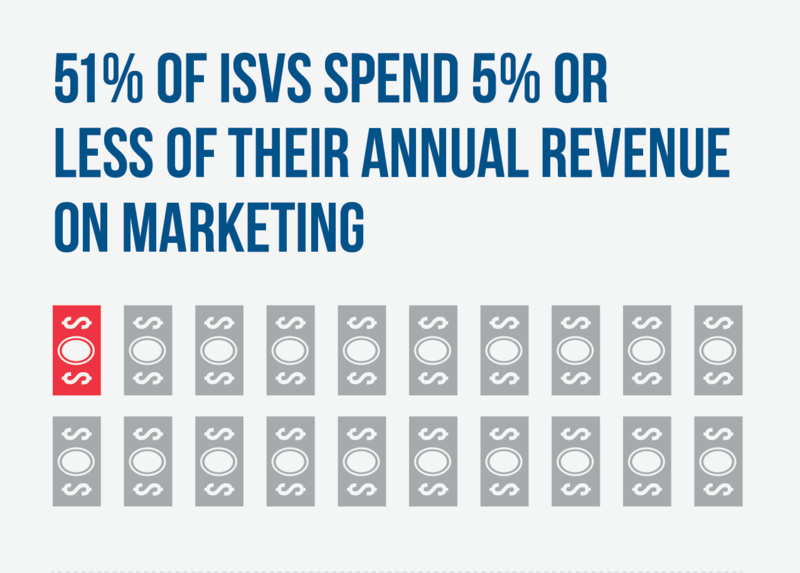 Just over half of the ISVs polled spend 5% or less of their annual revenue on marketing efforts. Software companies are seeing results from: direct mail, trade show exhibitions, email marketing, word of mouth, and organic SEO efforts. Over a third of those polled believe their marketing efforts failed because the chosen tactic isn’t applicable for their industry. ISVs were split on direct mail – it was the second most popularly used tactic, but folks 17% of respondents also noted it as the biggest failure. Marketing in 2018 is difficult. Buyer journeys are less linear than they were in the past. End customers are finding and consuming content on their own terms in places like: YouTube, LinkedIn, and vendor websites. When it comes to digital marketing and customer relationship management tools, the choices can be overwhelming. Devising a marketing technology stack that is suited for your budget and your needs is tough without a trusted and experienced consultant. Still, effective marketing is about delivering the right message to the right audience at the right time. A solid mix of inbound (SEO, Blogging) and outbound (email, paid social) tactics is required to reach your target audience. As a BlueStar partner, you should be aware of programs such as VARCOM, which is designed to supplement your in-house marketing efforts, and Appware Solutions, a solutions-based end user generation engine that partners ISVs with hardware vendors. If you’re interesting in hearing more about how BlueStar’s marketing team can help elevate your message in 2018, send us a note using the form below. Previous What Is a Smart City, and Why Should I Care?